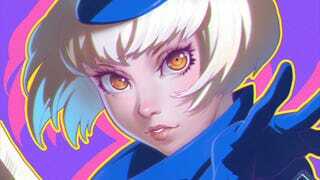 Ilya Kuvshinov works at NARRA8, a company that makes visual novels. You might be more interested in Ilya's fan art, though, especially if you like Persona, Metal Gear, Blade Runner or Ico. Or, you know, Crimean attorneys. You can see more of Ilya's work at his DeviantArt page.